LogoStack is about showing real world logo and brand identity design inspiration; not the conceptual, or the make believe. 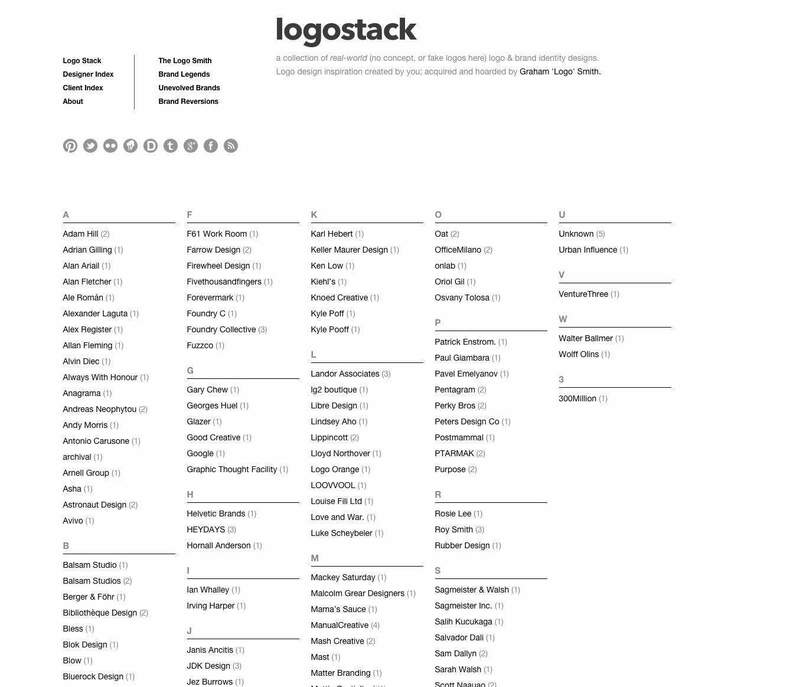 Every logo design you see on LogoStack is used, or has been used, in the real world. LogoStack: a collection of real-world (no concept, or fake logos here) logo & brand identity designs. Logo design inspiration created by you; acquired and hoarded by Graham ‘Logo’ Smith. It’s also worth noting that LogoStack is a reflection of the type and variety of logo and brand identity design that inspires me. LogoStack is a personal collection of real world logo designs that I am collecting, hoarding and sharing. The intro text for each logo clearly describes the brand name. We also have the name and link to what: graphic designer, studio, agency etc, were responsible for the overall project, both of which are filterable, so you can easily search for other projects by designer and/or client.